Maia Machavariani is Marie Curie Research Fellow at the School of Law and Government, Dublin City University. 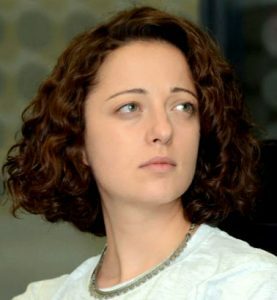 In 2013-2015 she led the South Caucasus Regional Programme at the Netherlands Institute for Multiparty Democracy (NIMD) aimed at facilitating regional cooperation and political dialogue between the representatives of political parties of Georgia, Armenia and Azerbaijan. In recent years she has undergone internships at the Radio Free Europe/Radio Liberty (Prague) and the Good Governance in Georgia, Pogramme under the USAID contract. Maia holds a Master’s degree in International Relations and European Studies from Metropolitan University Prague and Bachelor/Master’s degree in Turkish Language and Literature from Tbilisi Institute of Asia and Africa.